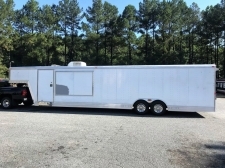 RPM Trailer Sales is your online source for used or Pre-Owned Trailers! By offering quality used trailers we can help all customers get into the right trailer for their needs! We frequently have pre-owned used, enclosed cargo trailers , used race car trailers, used utility trailers, used enclosed car trailers, used open car trailers, and occasionally pre-owned used motorhomes and used Toterhomes available. Our inventory changes daily so make sure you watch our site. We have found that many of our customers are ready to upgrade to a larger trailer within the first few years of their initial purchase. For that reason RPM trailers sales welcomes trades and consignments. This makes us unique in the trailer business. 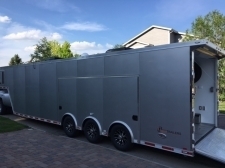 We will Consign sell your utility trailer, cargo trailer, race car trailer , motorhome, or Toterhome with an agreement that makes everybody happy. Additionally, will trade your quality pre-owned trailer whether you are looking to upgrade or downsize. Bring your trailer by for a FREE appraisal today!